There are a lot of places you can eat authentic Thai street food in Bangkok. But unlike in Singapore where hawker or street food centers are carefully regulated, Thai street food stalls are not. With this in mind, the only measure we had of gauging which street food to patronize is to observe where a lot of the locals eat. We decided that if the locals patronize it regularly then it must be safe. On my end, I can recommend these stalls because for the 5 days we were in Bangkok, we ate at these stalls and never experienced stomach problems. Since we were staying at Tarntawan Place, we tried the street food at Surawong Road where Tarntawan is located. 1. 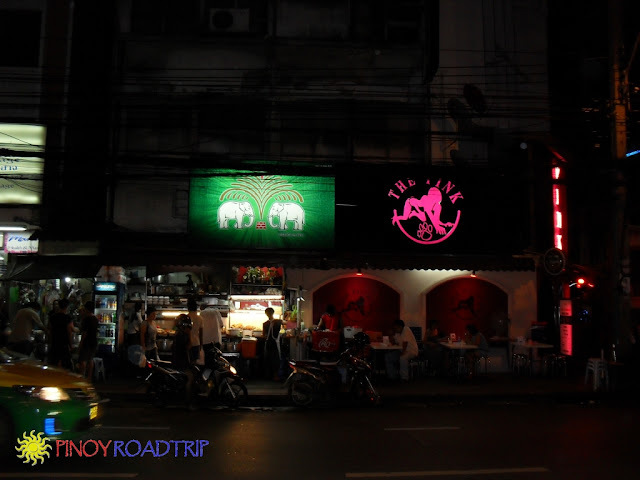 The first one where we ate most meals is beside the Pink Panther club (shown below with the pink logo), underneath the green sign. It is at the corner of Surawong and Patpong Road. 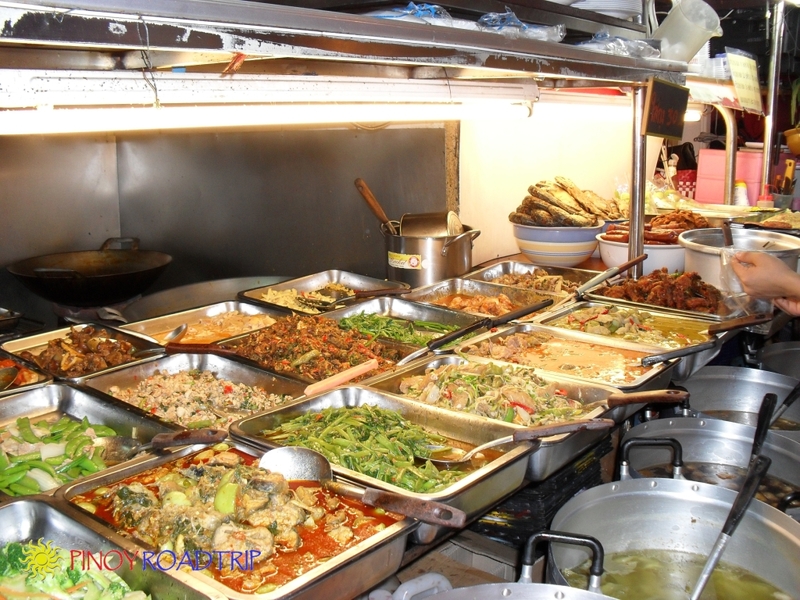 Meals cost 30 baht. 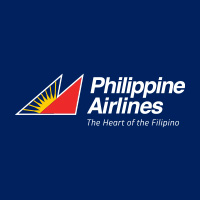 This includes 2 viands and a cup of rice. For the same price, you can choose just 1 viand but they will double the amount. We usually order food to be taken away. They pack it in styrofoam containers. 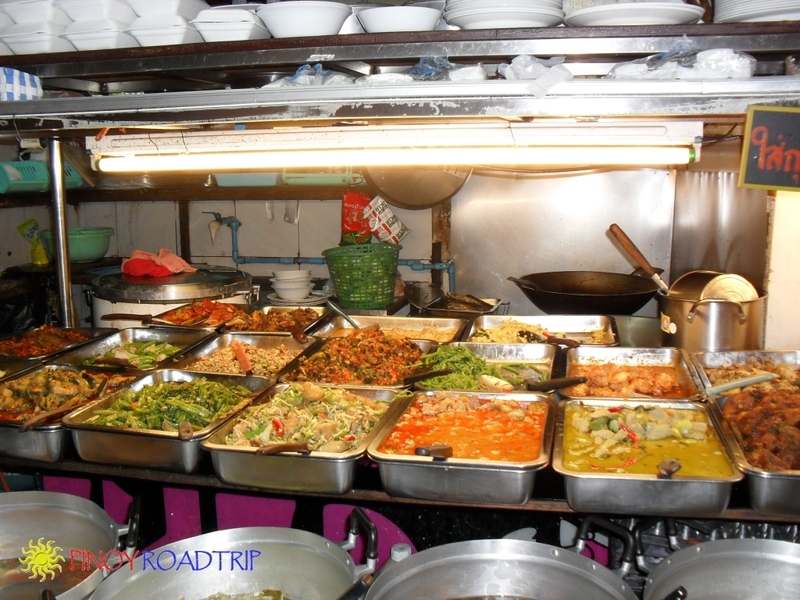 As you can see, there's a great variety to choose from so we ate most of our meals here. 2. 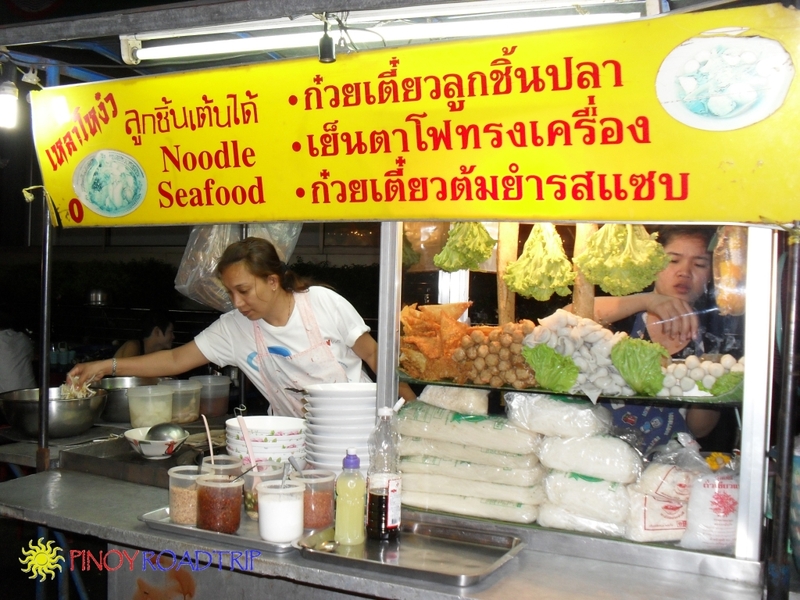 The other place where we ate is a noodle stall beside Kasikorn bank. 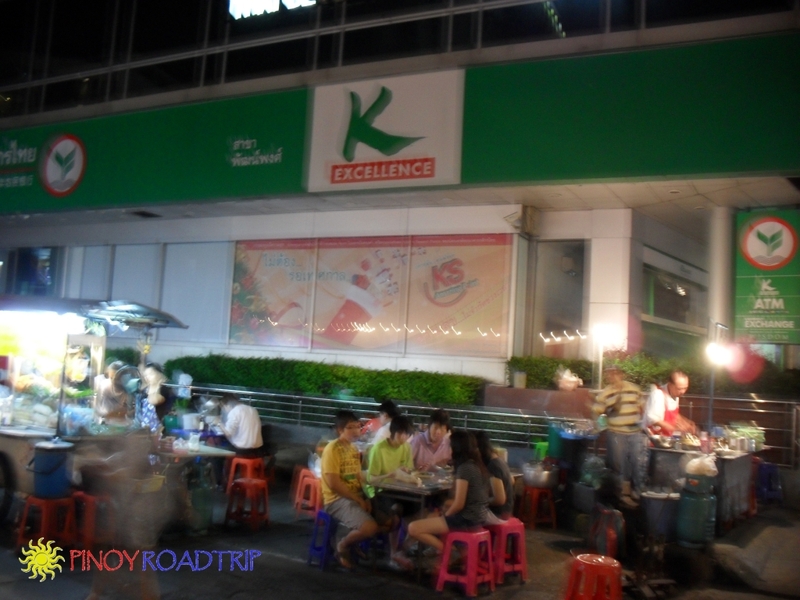 Kasikorn bank is located along Surawong Road across Patpong Road. This dish costs 50 baht. 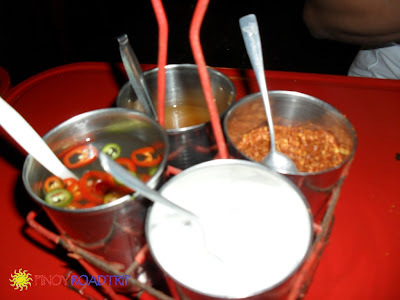 Why do I recommend trying Bangkok street food? 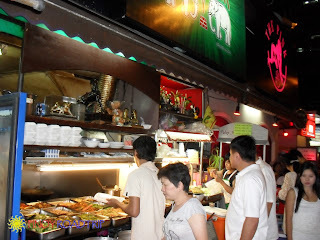 The spices and herbs, and the menu are what the local Thai residents eat so it's authentic. 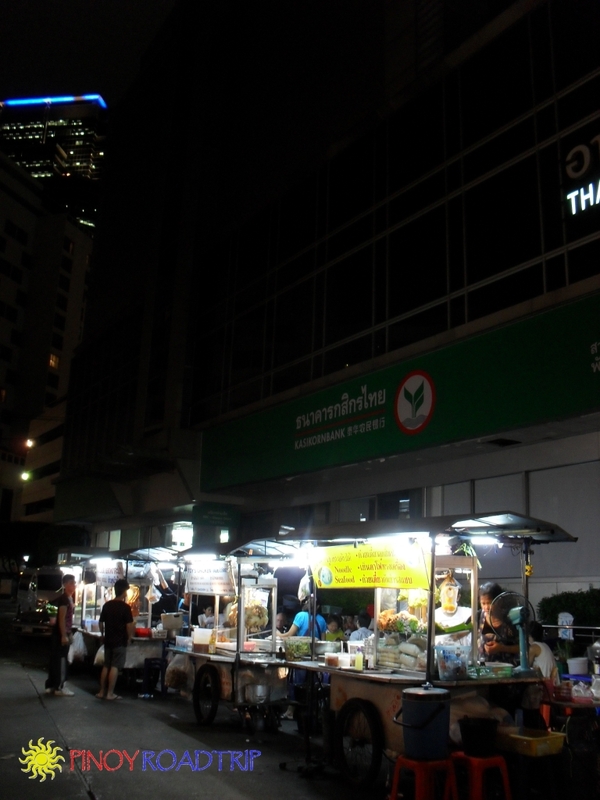 We discovered that Thai food in food courts like the one at Siam Paragon are double the price of Thai street food.